Freddie officials wanted to protect the company's bottom line and some sought to nix a backdoor economic stimulus. The consequence: Homeowners stayed trapped in high-rate loans. Freddie Mac, the taxpayer-owned mortgage giant, made it harder for millions of Americans to refinance their high-interest-rate mortgages for fear it would cut into company profits, present and former Freddie Mac officials disclosed in recent interviews. In closed door meetings, two Republican-leaning board members and at least one executive resisted a mass refi policy for an additional reason, according to the interviews: They regarded it as a backdoor economic stimulus. 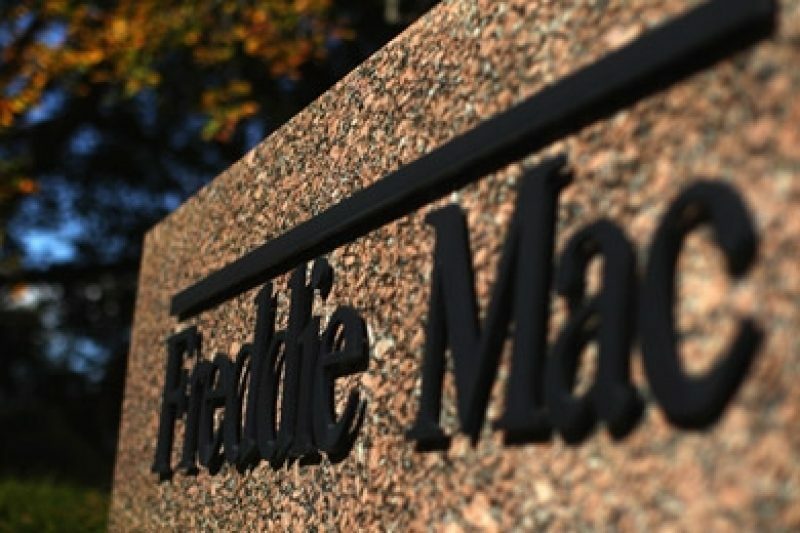 Freddie's policy was financially brutal: During the worst years of the Great Recession, when homeowners most needed the savings they could have gotten from refinancing to lower interest rates, Freddie helped keep millions of borrowers locked in high-interest-rate mortgages. Freddie's resistance to refis highlights a central conflict of interest that plagues both Freddie and Fannie. That conflict is even more pronounced now that they are owned by taxpayers. The companies, which own or back about 60 percent of U.S. home mortgages, have a mandate to help expand homeownership and also to generate profits. These goals can work at cross purposes. Freddie and Fannie maintained and erected barriers to refinancings when the Obama administration launched a program in early 2009 specifically designed to make refinancing more accessible — the Home Affordable Refinance Program, or HARP. Freddie continued to hinder refinancings through a late 2011 relaunch of HARP designed to further slash refi costs and paperwork. At that point, Fannie began opening its gates more widely, but Freddie still kept barriers in place. Only in the last few months, under a new chief executive, has Freddie loosened many of its restrictions on refinancing. "Almost immediately after taxpayers bailed them out, Fannie and Freddie imposed unprecedented restrictions on refinancing, preventing millions of people from saving money on their mortgages and leaving hundreds of thousands of people to lose their homes unnecessarily," says Mayer. Then after the 2011 HARP relaunch, "Freddie was worse" than Fannie, he said. Now, interviews with former board members and an executive have revealed two reasons why Freddie dragged its feet. According to interviews, these officials feared that mass refinancing would hurt the company's bottom line and therefore its ability to repay taxpayers, who had bailed out Freddie and Fannie in 2008 to the current tune of almost $142 billion. Fears that borrowers who got refis would suffer high rates of default anyway, costing Freddie, have not been borne out. Internally, Freddie debated its compliance with HARP for years. Robert Glauber, who left Freddie's board in March, contended in board meetings that aspects of the refinancing program were "designed to be a stimulus" for the economy, said John Koskinen, who served as Freddie Mac's chairman from 2008 to 2011, during which time he also served briefly as its interim chief executive. Glauber, director Linda Bammann and head of risk management Paige Wisdom resisted mass refis. One executive viewed their objections as colored by partisan unwillingness to help the economy recover, something that would benefit President Obama. But Koskinen did not regard the discussion as partisan. "I don't think we ever had a discussion of whether this was good for a Democratic administration." Glauber was a Republican appointee to the Treasury Department under President George H. W. Bush and has had a career in various Wall Street roles. In a brief email to ProPublica, he disputed a quotation attributed to him but did not comment on the substance of the internal debates. He wrote that "it is an outrage that what claim to be confidential discussions in the board room are aired in your publication." Bammann, who donated $250 to the National Republican Congressional Committee this year, declined to comment. Wisdom did not respond to requests for comment. Freddie Mac declined to make an executive available. The company is "always trying to find a balance to stimulate borrowing on responsible terms at prices that protect us from risk," a spokesman said. The new CEO, Donald Layton, has made it clear that making changes to the company's refi program is "a major priority," the spokesman said. And he pointed out that Freddie has streamlined its refi process outside of the HARP program as well. The spokesman declined to comment on Freddie's internal discussions. HARP was intended to lower barriers to refinancing for borrowers, especially for those who have high loan balances or owe more than their homes are worth, known as being under water. But HARP has disappointed in part because of Freddie and Fannie's restrictive refi rules. When the program was overhauled late last year, Freddie retained more restrictions than Fannie, puzzling many housing experts. Still, after the HARP overhaul, refis have risen. Freddie Mac has done more than 284,000 HARP refis this year through August, compared with 185,000 for all of last year. Fannie has done 334,000 in the same period, compared with 215,000 last year. In all, the two companies have done more than 1.6 million refis under the program. The administration's initial goal was to help four to five million. Concerns about providing a stimulus were not the only reason for Freddie's restrictions. Several company executives and board members worried that doing mass refis would hurt Freddie Mac's bottom line. To appreciate this concern, it's crucial to understand Freddie's and Fannie's business. The companies are two-headed beasts: One part is an insurance company with a public mission to help the housing market and the other is an investment fund that generates profits by trading mortgage investments. The investment side existed originally to keep the mortgage securities markets flowing. But as the portfolios grew in the years leading up to the financial crisis, the tail began to wag the dog. The huge profits from the portfolios inflated executives' pay packages and began to overshadow the public mission of helping homeowners, critics say. Refinancings can hurt the value of those portfolios. When a new, lower rate mortgage is issued, the old loan is paid off. The ultimate backer of that original loan — in this case Freddie or Fannie — takes a loss because the loan was "pre-paid," meaning it was paid off earlier than expected. Mortgage securities make money from interest rates paid over time, so they decline in value if the flow of interest payments gets cut off, such as when a refi allows the original loan to get paid off early. Glauber was concerned about Freddie incurring such losses, because taxpayers were ultimately on the hook. "Bob's position would have been if it has a cost, it is not consistent with conservatorship," Koskinen said. Bammann, a former executive of JPMorgan Chase, and Wisdom voiced similar objections. Wisdom criticized the refi program, saying that it was "policy, not business," according to the executive. Board member Nicolas Retsinas, who served in various housing policy positions for the Clinton administration, argued consistently for an expansive refinancing policy, according to people familiar with the meetings. He argued that in calculating the costs of the refi program, Freddie should take into account the benefit from lowering defaults and foreclosures and the improved housing market and stronger economy that would come from refinancings. Koskinen, a Democrat who served in the Clinton administration, said it was prudent for the board to discuss the costs of a refi program. "The board's view was you could decide to categorize it or ignore it but couldn't say it didn't exist. The intellectually honest thing was to say, 'How large was that cost?'" he said. Early in the Great Recession, support for a mass refi program was bipartisan. Refis help borrowers who are current on their loans, scoring them prevailing rates. Columbia economist Glenn Hubbard, now an economic advisor to Republican presidential nominee Mitt Romney, co-authored op-eds in the Wall Street Journal and later in the New York Times with his colleague Mayer, proposing a mass refi program. Many congressional Republicans supported it. But the Wall Street Journal editorialized against it in February 2009, arguing a mass refi program amounted to undue government interference with the marketplace and would cause huge losses for taxpayers. Republicans turned against it. The Obama administration and the Federal Housing Finance Agency (FHFA), which oversees Fannie and Freddie, didn't fix HARP for years. Under conservatorship, the FHFA has the responsibility to regulate the companies and to approve their major business decisions. Ed DeMarco, the acting head of the agency, has become a political lightning rod, criticized for having been too timid in helping the housing market. Critics contend he underestimated how much such an overall improvement would eventually help Fannie and Freddie's bottom lines. At the same time, DeMarco has been frustrated by Freddie Mac, according to people who are familiar with his tenure. "Freddie is the party of 'no.' Fannie is the party of ‘let's make it work,'" said a person familiar with DeMarco and the FHFA. The FHFA was frustrated when Freddie Mac announced its guidelines in November 2011 because they restricted refis more tightly than Fannie's did. One example: Freddie was not going to allow certain well-situated borrowers into HARP, borrowers with a "loan-to-value" ratio of 80 or below. In other words, if a borrower had a $100,000 home and had a mortgage loan of $80,000 or less, he or she would not be eligible. That wasn't the only restriction. Freddie sometimes required properties to be re-appraised, which added cost and delay. And it hindered the ability for borrowers to get a refi from a new bank rather than from the one that had given them the original loan. "We were adding barriers to the homeowner," says the Freddie executive. Freddie's risk management operation, the division in charge of making sure Freddie doesn't take decisions likely to incur heavy losses, was particularly active in raising concerns over allowing more refis. For example, when Freddie insures a mortgage, it retains the right to void its guarantee and force the bank that made the loan to be responsible for it under certain circumstances, such as if the bank had done poor underwriting and the borrower's income was misrepresented. Facilitating refis under HARP could require giving up those rights. Wisdom, the risk officer, argued that Freddie should not give up such rights lightly, because surrendering them could cost Freddie dearly. But since many borrowers on these Freddie-backed loans had been making regular payments for a number of years, others argued there would likely be only a relatively small number of cases in which Freddie would need to force banks to take back loans. Thus, Freddie wouldn't be giving up anything of much value. Freddie Mac produced a memo in the fall of 2011, which was described to ProPublica, estimating that HARP would cause hundreds of millions of dollars in losses. The memo estimated big losses on the portfolio as well as from giving up the rights to return the loans. It minimized the benefits to Freddie's insurance business from an improved housing market and improved economy. It also minimized the costs to the company of trapping homeowners in mortgages with interest rates so high they would eventually default. That analysis appears to have been overly cautious. A recent New York Federal Reserve study estimated how much refinancings can help reduce future defaults and found that the benefits were greater than expected. "We were too conservative and that's been subsequently borne out," says the Freddie executive. DeMarco has said he instructed Freddie and Fannie not to take into consideration portfolio losses. In a letter to Sen. Robert Menendez (D-NJ) in May, DeMarco wrote that "FHFA specifically directed both [Fannie and Freddie] to exclude from consideration changes in their own investment income as part of the HARP evaluation process." The existence of the memo raises a question of whether Freddie ignored that instruction from its regulator. It also raises the question of why FHFA did not act immediately to prevent Freddie from imposing its tighter rules. DeMarco and the FHFA did not respond to requests for comment. Freddie's 80 percent loan-to-value barrier had spillover effects. Mortgage experts say it led banks to reject out of hand borrowers who were close to that threshold. If a borrower initially appeared to qualify for a refi, but then the appraisal of the home pushed him below the barrier, Freddie would reject the refi and the mortgage company would have wasted time and money. So banks avoided a wide swath of homeowners whose loan-to-value ratio was near 80 percent. At the FHFA, "nobody was happy with Freddie under 80 percent but we decided to deal with it later. And we dealt with it," says a person familiar with the FHFA's efforts. Today, more refis are being done under HARP and the barriers at Freddie have started to come down. The new CEO, Donald Layton, deserves some credit, says the Freddie executive: "Don made important changes in the program and is willing to override narrow risk management. He took a broader view of the benefits and wasn't focused wholly on the costs."